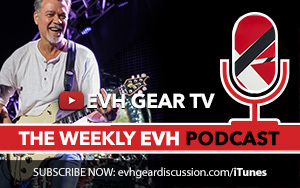 I was thrilled to find out today that I was featured on EVH Gear’s Facebook page! I was working away all day and didn’t even know it. Thanks to tip off’s by 2 good friends I was alerted to the good news. What a cool thing to find out. A complete honour as well!